Obama Foundation announces the “Center Consortium” will be composed of Jones Lang LaSalle, McKissack & McKissack, and Ardmore Associates. Chicago, IL – Today, the Obama Foundation announced that three firms have combined talents to lead the project management for the Obama Presidential Center (OPC). The “Center Consortium” will be composed of Jones Lang LaSalle (JLL), McKissack & McKissack, and Ardmore Associates, all of Chicago. This team will be responsible for establishing and directing the processes that are necessary to ensure that the OPC is designed and, eventually, constructed in accordance with the budget, schedule, and technical requirements of the Foundation. JLL is one of the largest real estate services firm in the world, and will bring industry-leading practices to the oversight of the design and construction of the OPC.  McKissack & McKissack is an outgrowth of the oldest African American-owned design and construction firm in the United States and was the project manager for the recently completed and award-winning National Museum of African American History & Culture in Washington, DC. Ardmore Associates is also an African American and women-owned professional services firm, with valuable experience working on challenging public and institutional projects across Chicago. “Along with JLL and Ardmore Associates, we are honored to be entrusted with this huge responsibility. We are committed to creating a project management team that will add value to the OPC while always reflecting the values of the Foundation itself: integrity, inclusion, and community engagement,” said Deryl McKissack, Chairwoman and CEO of McKissack & McKissack. Earlier this year, the Obama Foundation announced that Ralph Appelbaum Associates will lead, in partnership with Civic Projects and Normal, along with artists and educators Amanda Williams, Andres Hernandez, and Norman Teague, the exhibition design team for the OPC. The Foundation also recently announced a landscape design team comprised of Michael Van Valkenburgh Architects and Associates, Site Design Group, and Living Habitats in January. In October 2016, the Obama Foundation announced the formation of an Inclusion Council, led by local leaders to ensure that the work of the Foundation is informed by a diverse set of viewpoints and is in line with the values of diversity and inclusion. In July 2016, the Obama Foundation announced Jackson Park as the site of the future Obama Presidential Center. The Foundation considers the South Side community a full partner in the development and construction of the OPC, including in the integration of the OPC into Jackson Park. In June 2016, the Obama Foundation announced that Tod Williams Billie Tsien Architects | Partners and Interactive Design Architects will lead the design phase of the Obama Presidential Center. JLL Project and Development Services is a leader in the development, design, construction, and branding of commercial real estate projects for the world’s most prominent corporations, educational institutions, public jurisdictions, healthcare organizations, industrial facilities, retailers, hotels, and real estate owners. Ranked No. 3 in Building Design + Construction’s 2016 Construction Management Giants survey and No. 5 on Engineering News Record’s 2016 list of Top 100 Construction Management-for-Fee Firms, JLL’s project management team comprises 4,895 project managers across 51 countries and is actively managing $31.1 billion under construction. McKissack & McKissack is an outgrowth of the oldest minority-owned professional design and construction firm in the United States. A family-owned business for more than 100 years, McKissack has been a leader in planning, design, and construction of more than 6,000 projects, proudly upholding the standards of excellence established by its forefathers. McKissack is currently ranked by Engineering News-Record as one of the top 50 program management firms and top 100 construction management-for-fee firms in the U.S. McKissack provides a wide range of services to a variety of corporations, government agencies, municipalities, private institutions, designers, and developers, and attributes its longevity and success to the talented, service-oriented professionals that comprise the McKissack organization. McKissack takes pride in the thousands of projects they have successfully completed over the years, and enjoys undertaking new challenges within the construction industry that require innovative, yet practical, cost effective solutions. Guided by corporate values of integrity, teamwork, and best-in-class performance, McKissack’s professionals provide outstanding technical expertise and are especially responsive to client needs, budgets, and schedules. Ardmore Associates is an MBE/WBE/DBE engineering consulting firm specializing in complex infrastructure, transportation, and major building projects. Established in 2003, Ardmore was founded by principals who share over 100 years of experience in municipal, state, federal, and private facility operations, management, and development. Comprised of nearly 90 staff members, Ardmore offers experience, reliability, and results providing professional services in land surveying, program management, project management, construction management, and construction inspection, and consulting. Ardmore solves challenging problems in a high-risk industry while putting safety first. Ardmore’s work is critical to the public at-large as they manage transportation, infrastructure, and building projects that the public uses every day. Ardmore is a dynamic, growing organization that hires people with initiative and high standards, and who are innovative and efficient as they help meet Ardmore’s goals.